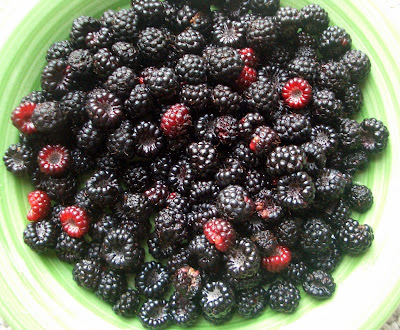 My neighbor was out picking berries the other day and after having helped her I discovered that we too had berries growing all over our (totally unlandscaped) yard!! 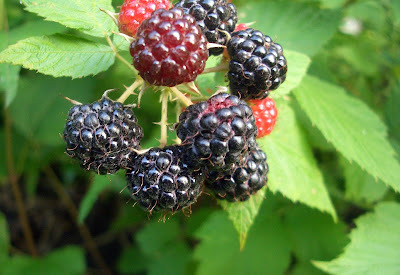 The kids had fun picking and eating them right off the vines and we actually had enough to eat for dessert that night. After dinner we checked the back hill only to find double the amount from the side yard. 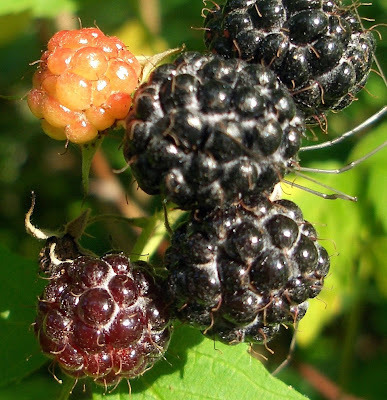 There are plenty that need to ripen so that we can freeze them for later use. This is the backyard. 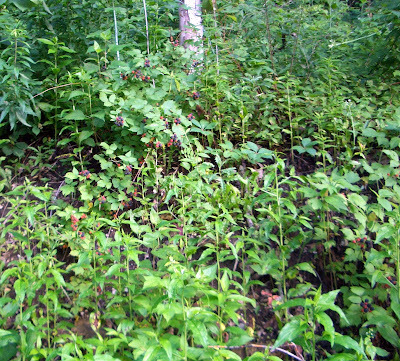 There are a ton of weeds but also quite a few berry bushes in the mix. I had to blaze a trail for the kids to follow me. It had rained quite a bit in the days before so it was very slippery on the hill. 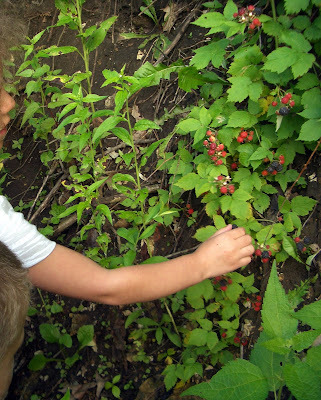 You can see P picking the lowest berries. I could not get them up the hill far enough to do very much picking and it was a challenge for me to stretch and pick that high up with the hill. We may have to build a few stepping stones into the hill for me.